I still have a garden (long ago used to post more pictures from it, flowers, plants, insects and such) but now live away from it (is for sale, BTW), so such pics are much rarer (and, arguably, I matured a bit as a photographer and that influenced my themes). 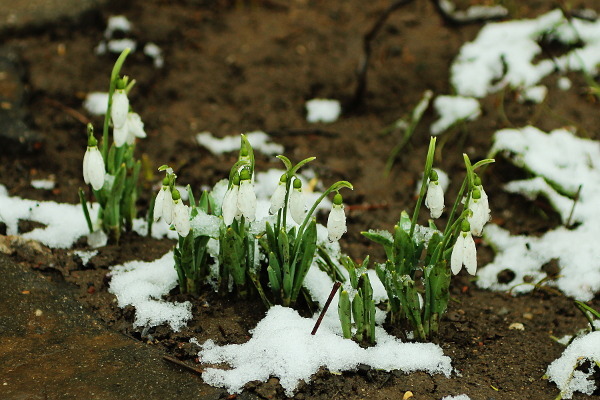 Today I visited it, and knowing at this time snowdrops should be in full flower, I planned to pick some to give. 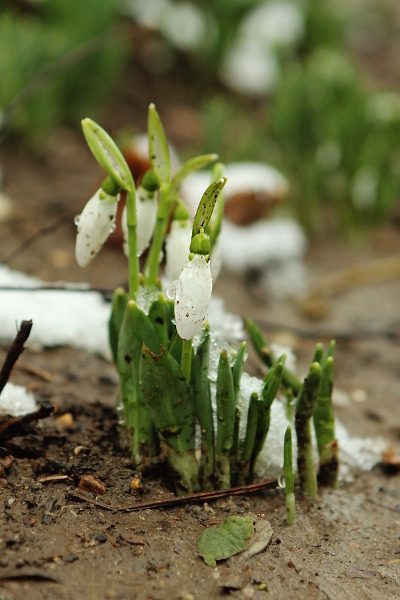 Unfortunately, event there are a lot of them, my snowdrops are not tall, hard to carry, to offer and keep, so I am afraid for the moment she has to keep the photos and I have to go to the market for real flowers.